This article was originally from Daily Racing Form. We want to share it with our customers as the maxims of Pittsburg Phil are as relevant today as they were more than 100 years ago. His two biggest betting plunges were worth approximately $22 Million in today's dollars. Truly a remarkable sum of money. Pittsburg Phil, real name George E. Smith, was one of the first outstanding form students and punters in the USA way back at the turn of the 18th Century. What he did and how he did it are a very interesting read. First and foremost his view, and he is absolutely right, is that success comes from hard work, perseverance, and relevant to RewardBet, using, for his time, innovative and pioneering tools and techniques. Phil asked Ruppert why he only came to the races on Saturday or when a horse of his was running. Because I have my business to handle, Ruppert answered. “He might not last a year,” Ruppert said. Shortly before he died, in 1905, of tuberculosis at age 43, Phil offered this counsel to a New York turf writer named Edward Cole. Cole was the only writer to whom Phil confided his methods. Three years later Cole published that wisdom in a book called “Racing Maxims and Methods of Pittsburg Phil.” The book went out of print for decades but found a second life, importantly, after it was reprinted in the 1960s. Pittsburg Phil’s book provided a handicapping blueprint framed by anecdote and aphorism. Matching this style, the modern volumes of Tom Ainslie, Andrew Beyer, Steve Davidowitz, and others followed Phil’s original contribution. Seen this way, Phil was the first modern handicapper. He perfected the art of picking winners, and a century after his death his maxims and methods remain instructive, in some cases timeless. A good jockey, a good horse, a good bet. You cannot be a successful horse player if you are going to get the worst of the price all the time. Watch all the horses racing closely. Know when to put a good bet down and when not to. Don’t temper your bet to the price. Phil was alone among the spectacular bettors of his time – a headline-grabbing era of high-rollers, sporting owners, and larger-than-life match races – in that he never went broke or lost his nerve betting ungodly sums of money. His scores put a dozen or more bookmakers out of business. When he died his estate came to almost $2 million, a sizable fortune in those days. Almost all of it came from playing the horses. Inside New York restaurants and delicatessens in the late 19th century, you would hear people ask, “How do you find out what he’s playing?” Hundreds of people would follow Phil around the betting ring in the hopes of figuring out his choice. It was a colorful time for big bettors – or plungers as they were called then – and the best ones were celebrities, their wins and losses breathily reported in newspapers, overflowing with rumor and sometimes printed above the actual race results. Phil did not consider himself a plunger – “that is the man who accumulates a bank roll one day to lose it the next.” Neither did he consider his success magical. He shrewdly approached the races in the same way investors speculated on Wall Street. As for the men like himself, who weren’t susceptible to tips and relied exclusively upon their judgment, he named such horseplayers as Charles Heaney, W. Beverley, “Mattie” Corbett, “Cad” Irish, “Pack” McKenna, and “Ike” Hakelburg. The men in this group were often identified in newspapers of the time as the “original handicapper,” or something similar. But there were others. Men like Charles Botay, Steve L’Hommedieu, Riley Grannan, Mike Dwyer, and many more. Their ups and downs never left the public eye. In the 1880s, what set apart Pittsburg Phil, McKenna, Irish, and Botay was that they created their own charts. At some point each was described as being the inventor, but there is no way to tell. What is known is that the general public was playing in the dark. Newspapers printed only summaries, and the Daily Racing Form did not come about and spread the usage of charts until after 1894. McKenna would post men at the start and finish as well as the quarter poles, and then reconstruct the running of the race from that information. 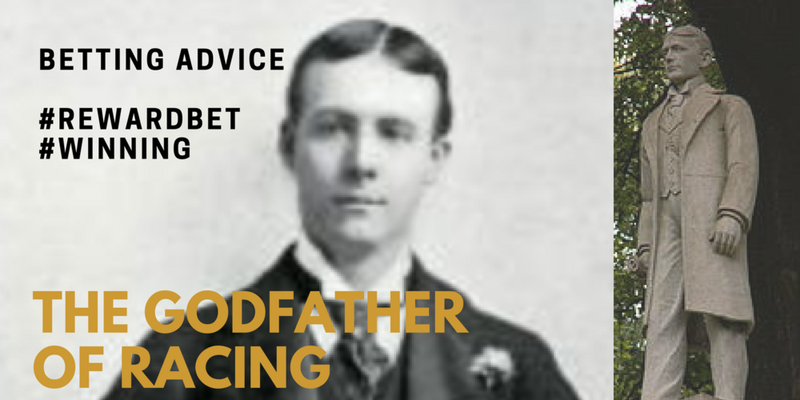 Botay, a famous bookmaker of the time who “ran a shoestring up into a bankroll,” was described in an 1894 article in the Live Stock Record as the first to introduce the form chart. Botay mentored Grannan, a Kentucky boy who arrived in New Orleans and became a bellboy at the St. Charles Hotel before embarking on a spectacular life as a plunger. In 1878, the young George Smith first entered Harry Price’s poolroom in Pittsburgh. He was 16. He had been a cutter in a Pittsburgh cork factory since he was 12, began betting on his own game chickens at 14, and then turned to wagering successfully on National League baseball. He knew nothing about racing, but he enjoyed listening to the telegraphic descriptions of the races. He came up with the idea of keeping race results with running lines, jotting down this information as he listened. There were two ways to bet in those days – auction pools and bookmakers. Auction pools offered horses to the highest bidders and were often found in betting shops outside the racetracks. For leisure these poolrooms had billiards, and the name came to attach itself to the cue-and-ball game. The first bookmakers arrived from England in 1871 and set up at the New York tracks. The parimutuel system, imported from France, arrived here in 1875 but did not become the exclusive system of American racing until the 1940s. Smith listened and thought about the races for a year before he made his first bet, in the fall of 1879 – a winning one on a horse named Gabriel at the Brighton Beach course. He quit his job, ran his bankroll from $500 to $5,000 in two years, then destroyed the Pittsburgh poolrooms for $100,000 before he ever walked into a racetrack. That introduction came at the 1885 Kentucky Derby, an experience that encouraged him to move his tack to Chicago, where he was unknown. At Silver Bill Riley’s poolroom he gained his nickname – there were too many Smiths in the room, so when Smith told Riley where he was from, Riley, thinking of Pittsburgh and Philadelphia in the same note, christened him Pittsburg Phil. Phil also took in the races at Washington Park and the West Side Driving Park, and using his binoculars he could now compile more accurate charts. His gift for observation was forged here. He’d watch all of the horses, and not just the one carrying his money, their trips, how their jockeys rode them, how they pulled up after the race, if they were in distress or barely fatigued. He’d hurry to the finish line after the race to watch the condition of the horses as they were unsaddled. These were curious methods then. “Unfortunately,” he continued, “all too many racing fans – it seems to me – still do not know how to do that, even if they’ve been going to the track for several years.” Throughout the chapter, Davidowitz offers the very means of observing a race that Phil employed to the befuddlement of his contemporaries. In 1890, Phil first walked into a New York betting ring. He rightly believed that few of the big plungers were careful students of horses or close observers of the races. Most relied on speculation and tips from trainers. He was 25, had been playing since he was 17, and was $200,000 ahead. But he didn’t rest on his laurels, instead launching an assault on the bookmakers that would last nearly 15 years and make him very rich. He mastered not only how to handicap but also how to play the bookmakers. He also became a successful owner and helped mold his brother Bill, who had been a brakeman in Pittsburgh, into his stable’s trainer. Here it pays to look at what made Phil so sharp. Newspaper stories from those days rarely addressed how a particular man picked winners, but rather the drama of a large adversarial bet or the fickleness of Dame Fortune. With Phil, his posthumous book and the memories of his nephew provide that rare insight. First, Phil never took odds less than 3-1. This was the exception. Mike Dwyer, who with his brother Phil ran a crack stable of horses in the 1880s, was the most famous of the “chalk eaters,” before he went broke and his health collapsed. Bookmakers were known to shave odds on a horse to entice him to bet. He had no qualms about betting $30,000 to win $3,000, but he scoffed at Pittsburg Phil’s idea of wagering $3,000 to win $30,000. Phil didn’t play horses simply because of their long odds, but only when his judgment commanded him to play against an odds-on horse. Phil was a classifier of horses. He had an extraordinary memory, and in his head he kept information on all of the quality horses. He knew when they could carry the large weights assigned in handicaps and when they would falter under those. Successful handicappers, he said, “know the capabilities of every good horse in training and have an accurate idea of what he will do under all circumstances.” They know each good horse better than their own brother – his habits and disposition; when he is at his best and when he is not; what weather, track, distance, weight, and jockey suits him; and what that jockey can and cannot do. Studying the jockeys was another way Phil differentiated himself. Ignoring their role was a losing proposition. Generations later, Tom Ainslie, the dean of handicappers in his time, pointed out that six or seven jockeys in New York win half of the races, which was statistically on par with the national average. Success takes hard work. Rewardbet takes care of the staking, you find the winners. In his 1975 classic “Picking Winners,” where he formulated his lasting theories of speed handicapping, Andrew Beyer still devoted a chapter to analyzing horses’ appearances. Beyer noted that the subject of the chapter, which relayed the talismanic wisdom of the colorful and astute handicapper Clem Florio, was at the time of publication an overlooked area of handicapping. However, Phil apportioned a whole chapter to it in his original tome. This was in stark contrast to his counterparts in the ring – the reason Phil disliked being described as a plunger. By contrast, Riley Grannan, who at times rivaled Phil in fame and in how much he bet, was described in 1894 as a man “who seemed to have no idea of the value of money, bet it like tissue paper when he had it, and when he lost it did not sit down and whimper, but began looking about for some way to get it back.” Grannan died broke in Rawhide, Nev., in 1908. Phil was a man of temperate habits. He did not smoke, drink, stay up late, play cards, gamble (as he saw it), or bring women to the racetrack. At the races, he focused exclusively on his business, unwilling to entertain friendly conversation or take a drink at the bar. The reason is that, besides handicapping and observing the horses, he had to follow the betting ring, where a game of hide and seek went on. Bookmakers would immediately drop the odds on a horse Phil liked, so he employed more than a dozen men as betting commissioners, a rotating coterie of friends and family from Pittsburgh who would spread around his money so as to disguise his play. Sometimes he’d bet $500 on a horse he knew couldn’t win, so as to shake bookmakers off his tail. He would watch which trainers were betting and follow the actions of the commissioners employed by other plungers. Occasionally, he would even offer book against favorites he deemed vulnerable. For his grandest attempts, he would also have people betting for him in poolrooms around the country. Phil was fond of saying that “many killings are attempted, but few are accomplished.” His first – and largest – came in 1891 at Sheepshead Bay on one of his own horses. The horse was King Cadmus, a well-bred bay colt Phil purchased at the dispersal sale of the senior August Belmont in 1890. By the fall of 1891, Phil was knee-deep in one of his few bad seasons. Yet he knew the time was right for one colossal bet. King Cadmus had been training well, and Phil believed his speed and class were underestimated against other juveniles he felt he had accurately gauged. He ran King Cadmus three times, twice against better horses, including in the celebrated Futurity Stakes, as a way to get him in shape and hide his ability. The next week, Phil entered King Cadmus in the Sapphire Stakes and planned to bet more than he ever had before. Phil’s trustworthy friends were called upon as betting commissioners and orders sent out to poolrooms all over the country. As McGill remembered, “Phil read one line in a New York morning paper with a smile: ‘The recent bad luck of the young Smoky City plunger, ‘Pittsburg Phil,’ persists. He hasn’t won a good bet in several weeks, and the bookmakers now take his money as readily as that of the veriest tyro.” King Cadmus would be a price. He opened at 10-1. Walter Keys, Phil’s friend and main commissioner, stationed people at a dozen spots in the large ring. King Cadmus drifted up to 15-1. Keys then spread the word to his commissioners to bet to win only and keep betting until the race went off. Phil was in the paddock, giving instructions to jockey Fred Taral. As they went to the post, 5-1 was still out there. In the 15 minutes it took for the starter to get the horses on even terms, Keys was taking any odds the books would offer. The finish was close, but after a few seconds the placing judges hung King Cadmus’s number. “And even then Phil didn’t turn a hair,” McGill said. He merged into the crowd, told Taral, “Nice ride, Fred,” and watched to see how the effort affected King Cadmus. That night the newspapers said his take was $250,000. Their estimate was inflated – but Keys ultimately counted their winnings as slightly more than $143,000. It was the biggest score the turf had seen. Soon after, Phil took the bookmakers again at Sheepshead Bay – for almost $75,000 – on a mud-loving filly named Reckon at 12-1. His two-race gain of more than $200,000 would have been $2 million in the Roaring Twenties, McGill said, which means, adjusted for inflation, Phil’s score equates to more than $22 million today. Phil never faltered in the ring, but the age of the extravagant public plungers dissipated after his death. The public grew wiser, or at least had more information at its disposal. After Daily Racing Form began publishing charts, other newspapers such as the New York Evening World followed. In 1905, the Form introduced past performances. Democratization of the game was on the move. One can imagine that Pittsburg Phil would find the present form of the game largely unrecognizable. Weight carrying, for one, has largely disappeared. He considered this one of the most important factors in handicapping. Fields are smaller, and the best horses race far less than they once had. (Phil believed that it was almost cruel to keep a fit horse from running at least once a week.) He would find the parimutuel system a serious curb on his fortunes. Bookmakers generally kept a cut of 5 percent; the slice today is on the order of 15-25 percent. He was selective, but he plunged when the odds were in his favor; in a parimutuel system his money would come back against him, his odds cut to the bone. That said, he developed a system based on universal truths about playing the horses. Keenly studying horseflesh, which he preached, and the men and women who ride them, never loses its importance. Making money required being a contrarian. Realizing that playing chalk destined one’s bankroll to a quick death, he found value elsewhere. Bettors then commonly applied fast-track form to the muddy going, whereas Phil profited from recognizing that some horses and jockeys move up on it. These are but a few examples. New generations followed Pittsburg Phil. There was the lawyer Robert Saunders Dowst, who penned a groundbreaking 1934 article in Esquire that persuasively argued consistency was undervalued by bettors and present form was overrated. Then some bettors realized the importance of speed, an area not previously mined, and the handicapper Jules Fink and his associates, who became known as the Speed Boys, were rewarded handsomely. Analyzing the times of races was something Harry Ragozin, and then his son Len, chartered in crafting their own figures. The list goes on: Beyer, Davidowitz, Jerry Brown, and so many more. Successful bettors find their profitable edges in recurring angles overlooked by or unbeknown to their contemporaries. Phil gave rise to the modern handicapper, and those who rose from his wake also found their fortunes in the darkened, poorly attended corners of the game. Newer PostSerious Punters Think About The Big P!